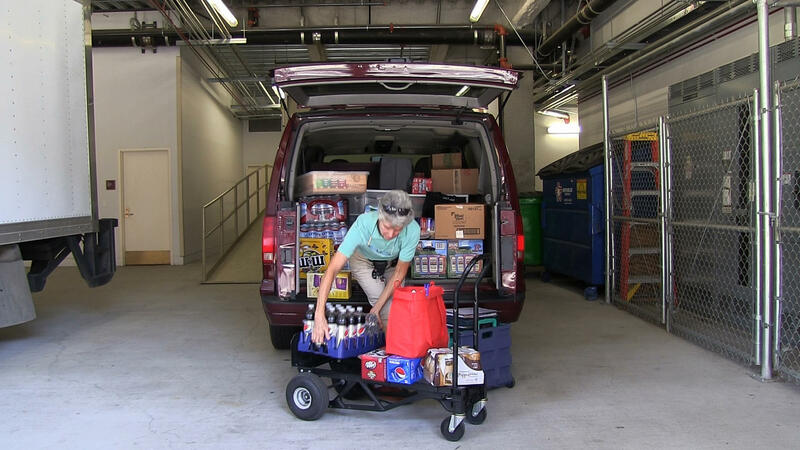 Gail Fulbeck unloads her van full of soda, water and snacks onto a dolly so she can re-stock some of the 23 vending machines she owns around downtown Sacramento. The 64-year-old saved a lot of money by switching to a Bronze health plan under Covered California. Fulbeck is a standout beneficiary of the 2010 federal Affordable Care Act (ACA). It slashed her costs with income tax credits, and by setting up a competition for her premiums among insurers through Covered California, the state’s new insurance marketplace. While few Californians have seen their finances improve so sharply--some saw their premiums increase--Fulbeck’s example is a window on the ACA’s dramatic effects in the state. Much of the current focus is on consumers scrambling to choose plans for the marketplace’s second year. But the more profound story of health reform in California is one of accelerating change, with both ominous and hopeful aspects. California leads the nation in embracing the ACA. It enrolled more people than any other state this year, approximately 3.6 million, driving down the state’s uninsured rate from 17 percent to 11 percent. Gail Fulbeck saved big with the Affordable Care Act, reducing her monthly premium from $2,555 to $165. 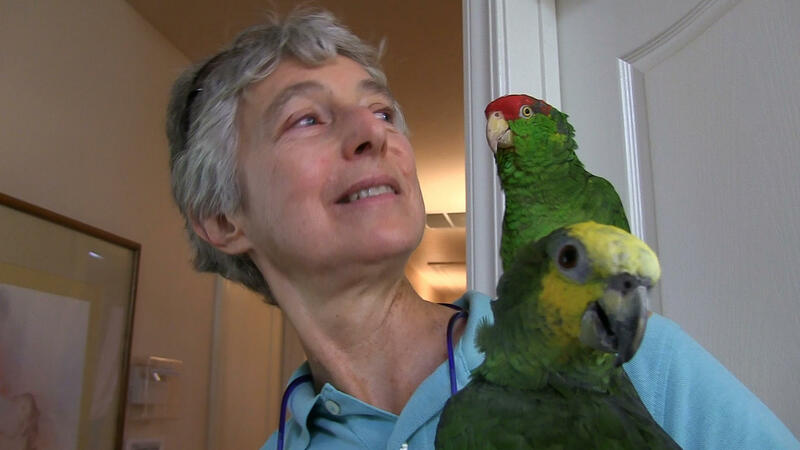 The 64-year-old also owns three Amazon parrots. Covered California expects to enroll another 500,000 people by the time the new signup period ends Feb. 15. Enrollment in Medi-Cal, the state and federal insurance system for the poor, continues to expand. Almost a third of the state's population is now covered by Medi-Cal. Getting access to care is another story. Not everyone can see a doctor they want, or when they want one. The problems are most evident in Medi-Cal, where non-emergency waiting times can exceed three months, and where hundreds of thousands of enrollees were ensnared in a backlog that is shrinking but remains a serious problem. As the ACA’s cost-cutting formulas kick in, insurers and government are pressuring providers more than ever to save money. Consumers may be benefitting—the average Covered California premium increase next year is 4.2%, compared to some earlier double-digit increases in private insurance. Patients face fewer choices for specialists and drugs, but better care for chronic conditions such as high blood pressure, diabetes and asthma. Many critics of the ACA—who have long opposed the subsidies and regulatory aspects of the law—hope that it can still be derailed. They are counting on a new Republican majority in the Senate, and on legal challenges, especially a case before the U.S. Supreme Court questioning the legality of subsidies in federally run insurance exchanges. But California operates its own exchange, so the impact here of a decision aimed at exchanges elsewhere is murky. And President Obama has vowed to veto any changes that he believes will undermine his signature domestic initiative. California got a jumpstart as the first state in the nation to adopt legislation creating its own exchange. It fast became a leader in expanding Medi-Cal, traditionally a plan for adults with children and pregnant women. It now offers coverage for adults without children and young adults. It is trying to control costs by pushing all Medi-Cal recipients into managed care plans, which are paid a fixed amount to handle each patient. Similarly, private insurers have set up pared-down lists of doctors and hospitals that agree to take on many more patients for less money per patient or procedure. Those limited lists tripped up many consumers last year. When Fulbeck went on the Covered California website last fall, she picked a Blue Shield option that listed her primary care doctor at UC Davis as a network physician. That turned out not to be the case. Blue Shield refused to pay for her annual check-up in January. Months later, after talking to Fulbeck, the insurer relented, but warned that she could no longer see her primary doctor and expect Blue Shield to cover her costs. Challenges remain in the current signup period said Garry Maisel, chief executive of Western Health Advantage, one of 10 health plans on the Covered California exchange. Gail Fulbeck, 64, paid $2,555 a month for health coverage for herself and her husband before enrolling in Covered California. She now pays about $165 per month for what she says is equivalent coverage. 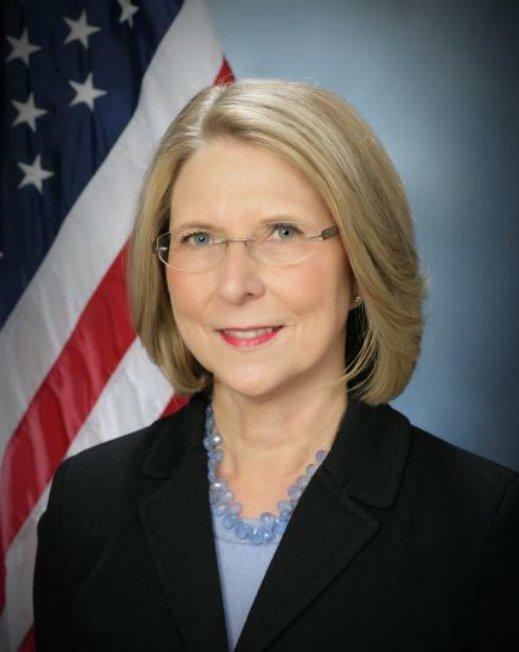 Diana Dooley, secretary of the state’s Health and Human Services Agency, said the state continues to make fixes even as it grapples with the massive wave of 2014 enrollees. Insurance companies may be the big winners. They not only got thousands of new customers--many spurred by the income tax credits that subsidize nearly nine out of 10 Covered California policies—they also will split an estimated $1 billion nationwide from the government to help insure sicker, riskier patients. Health reform is rearranging the main players of the state’s health system as if they were puzzle pieces – insurers, hospitals, doctors’ groups – to create ever-larger clusters intended to serve more people for less money. For patients, the days of going to a small doctors’ practice, and counting on a small to medium sized local hospital, are fading. That trend began years ago, but the ACA kicked it into high gear. It speeded up the growth of accountable care organizations, or ACOs. Doctors and hospitals work together to gather large groups of patients and emphasize cheaper preventive care over pricey specialists and emergency rooms. Formerly competing hospitals are creating new alliances, such as the St. Joseph-Hoag Health network in Orange County, which is creating its own ACO with CHOC Children's hospital. Tiny Fallbrook Hospital in San Diego County is now outpatient-only after forging pacts with two nearby hospital systems. The pressure extends to community clinics and health centers, long the mainstay for uninsured and Medi-Cal patients. Under the ACA, so-called federally funded clinics have received billions nationwide, while some smaller community and free clinics are being forced to close or merge to survive. Clinics, along with emergency rooms, will remain hubs of care for more than 1 million undocumented immigrants who are uninsured and currently banned from the ACA. Immigrant advocates hope that President Obama’s recent deportation stay might lead to Medi-Cal access for some of them. In the end, California’s health care system with all its networks and cost sharing is looking more and more like Kaiser Permanente, the giant Oakland-based managed care system. That’s no surprise. Kaiser served as a blueprint for the ACA, and proved long ago that its emphasis on networks and preventive care can control costs. Back at her home in Shingle Springs, Fulbeck is planning to go on Medicare later next year. But she and her 63-year-old husband still need insurance to start 2015. She decided to change plans to one that covers her long time primary care doctor. They will lose their tax credit next year because their income has gone up, so the overall impact is a big jump in their premium, from $165 to $1,214. Yet they will still pay less than half what they did in 2013. 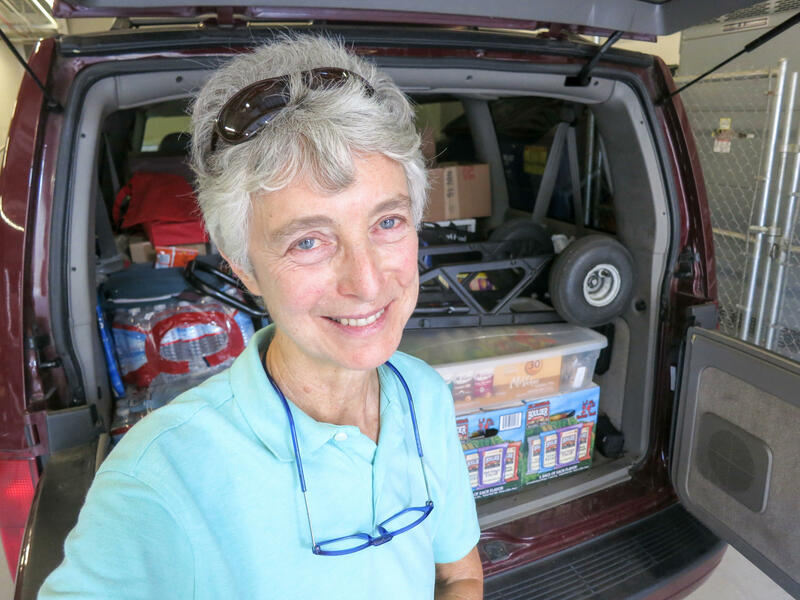 “Not everybody is as lucky as I was,” said Fulbeck, who is still thinking about where she might spend her savings from this year. Schoch and Whaley are reporters for the California HealthCare Foundation Center for Health Reporting at USC’s Annenberg School for Communication and Journalism. Center writers Emily Bazar, Ronald Campbell and John Gonzales contributed to this report.